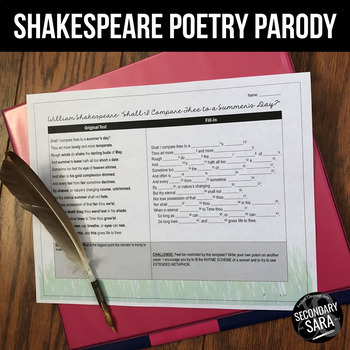 This activity is an excerpt from my Bundle of 5 Poetry Mad Libs from British Literature, where you will find four MORE mad lib templates and a full directions page that includes easy CCSS grading. (There’s also an American Literature version of the Poetry Mad Libs too!) All of the directions and templates in the bundles are EDITABLE, and the full versions include directions and a rubric.